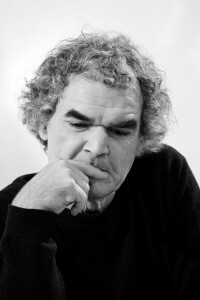 Patrik Ouředník is a Czech writer and translator. In 1984, he emigrated to Paris and, from 1986 to 1998, he served as the editor and head of the literature section of the quarterly publication L’autre Europe. In 1992, he was instrumental in founding the Free University of Nouallaguet, where he has lectured since 1995. He translates both from French into Czech and from Czech into French and has translated many well-known authors, such as Samuel Beckett, Jiří Gruša, Bohumil Hrabal, Vladimír Holan, Miroslav Holub, Alfred Jarry, Henri Michaux, Raymond Queneau, François Rabelais, Claude Simon, Jan Skácel, Boris Vian and Ivan Wernisch. His own books have also appeared widely and some, including Europeana. A Brief History of the Twentieth Century (2005), Case Closed (2010) and The Opportune Moment (2011), have been published in English-language editions.